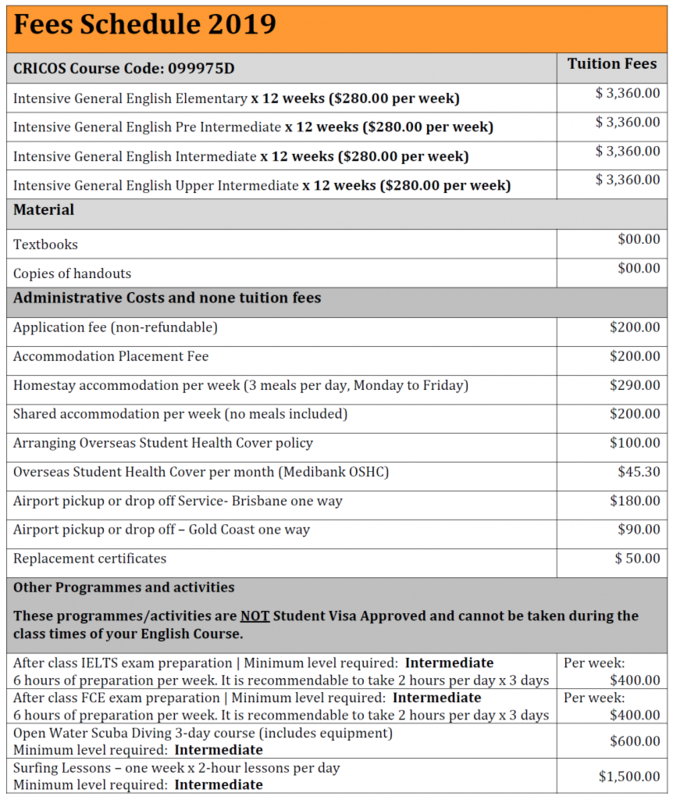 You can pay for your fees at The Language Academy by using any of the following methods listed below. Please note that payment of any kind should only be made after you receive your Letter of Offer from the The Language Academy. Please talk to your financial institution or bank prior to transferring funds to find out if there will be a fee incurred in making the transfer. If there is a fee for transferring, please ensure you account for this in your total transfer amount. If you would like to make a payment using a credit card, you can either phone us on +61 (7) 5578 6838 within opening hours or fill out a credit card authorisation form available from Administration. Please note that payment via credit card will attract a fee (1.5% for all major credit cards, 2% for AMEX).